But times have changed. To better address vertical markets, some manufacturers have adopted a more direct, collaborative approach to doing business. Christie is an outstanding example. Christie knows who is using their products (and how), and they have more of a direct influence on that fact than a decade ago. They publish case studies and press releases. They cultivate partnerships, dialog and collaboration with owners, operators, integrators, creatives and a circle of early adopters. From this writer’s perspective, having covered these specialized markets for three decades, it’s been educational and gratifying to watch Christie build its team and establish itself, bringing in products that have helped provide real solutions for cinematic and media-based platforms in entertainment and education. 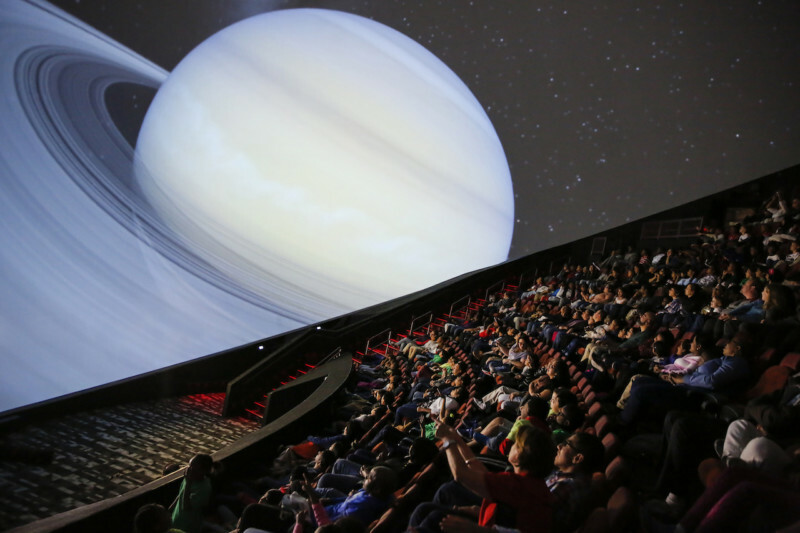 As planetariums have upgraded from optomechanical systems to fulldome, as giant screen theaters have converted from 1570 film to digital projection, as standards of cinematic display have been raised across the board and continue to be raised, Christie has worked to understand and meet these demands – in areas such as stereoscopic 3D, projection mapping, high frame rates, high resolution and color saturation – and to be ready for the next levels. The company culture, the passion and the mission are consistently there in the words and actions of every Christie team member this writer has conversed with. 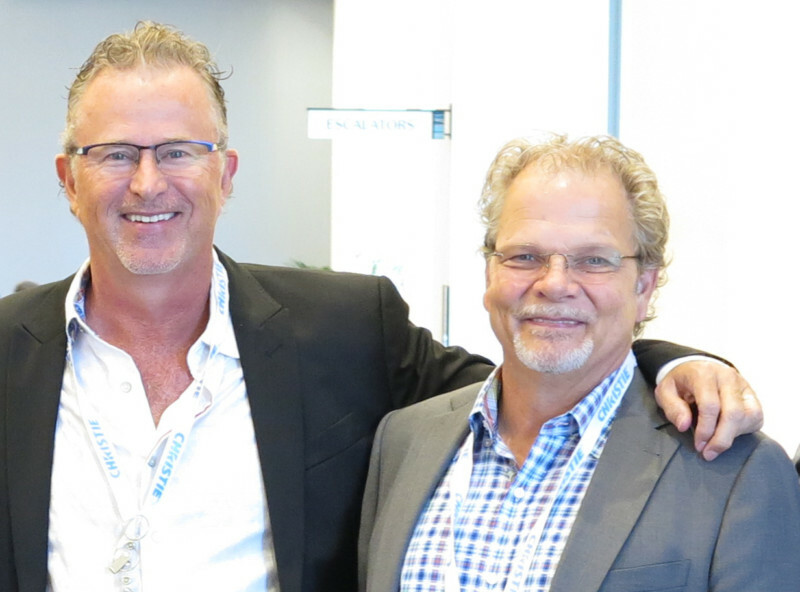 And it’s hard not to bump into Christie people and products as they have fully, and successfully, embraced this vertical and made their presence ubiquitous within conferences, associations and trade exhibitions as well as their own events. 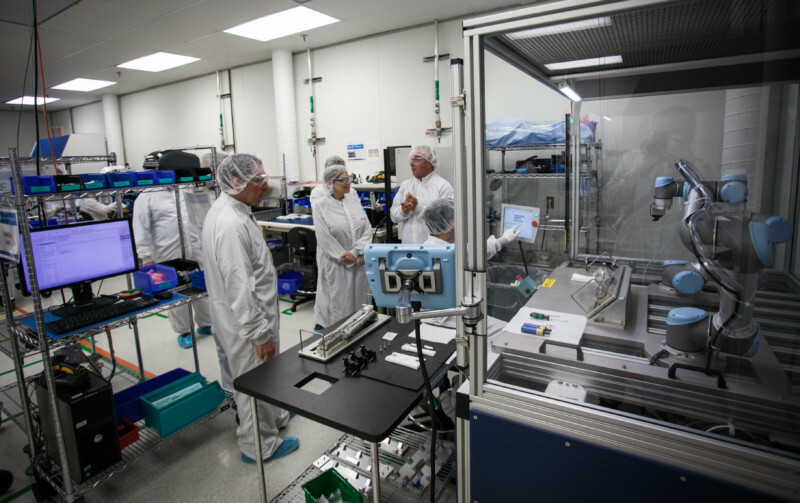 On a recent visit to Christie’s Kitchener, Canada headquarters, the consistency and passion were again evinced on all fronts – on the projector manufacturing floor, by product managers, engineers and R&D staff – and in the level of detail, quality and awareness of market needs evident in the product demonstrations and displays. Boehme and his team set out to listen and learn, and they have done so. It is apparent that, as Christie pursues its quest to cover the world in pixels, it receives support from within the company at all levels. Howard said, “We have marketing specific to the market, we have a sales group specific to the market, we have engineering and product development that are specific to it.” Boehme and Howard would tell you that their own enthusiasm and passion simply reflect back the dedication that characterizes the markets they serve. Christie was founded in 1929. Companies don’t persist for nine decades by accident; in fact, the typical company lifespan has become much, much shorter. Experts cite technological disruption and say that nowadays companies need to be willing to exit old businesses and boldly enter new ones. The late business management guru Peter F. Drucker (1909-2005) was known for his emphasis on human relationships in business, as opposed to number crunching. The business management institute named after Drucker cites the following five categories in which a business should excel: customer satisfaction, employee engagement and development, innovation, social responsibility and financial strength. Liberty Science Center, Jersey City, NJ – The new Jennifer Chalsty Planetarium opened in January 2018 and is ranked the largest planetarium in the Western Hemisphere. It is powered by Evans and Sutherland’s groundbreaking True8K™ Digistar 6 system featuring 10 Christie Boxer 4K 30,000 lumen projectors for a total brightness of 300,000 lumens, and a NanoSeam dome. 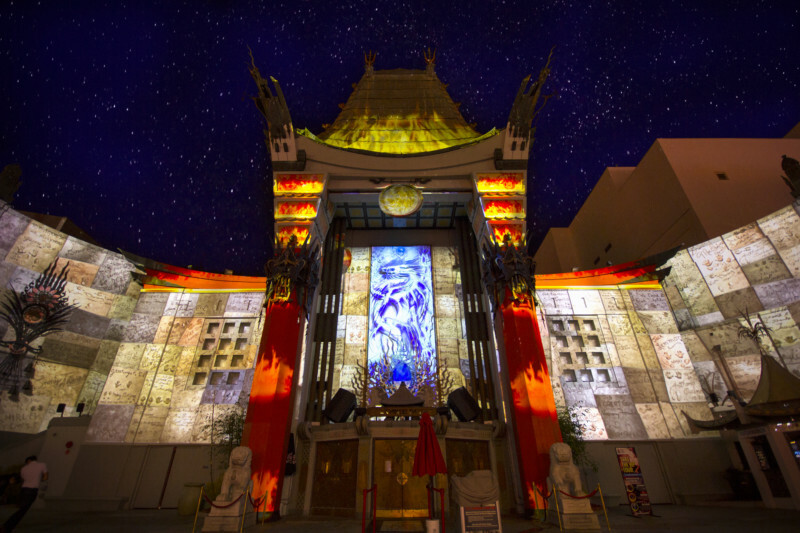 TCL Chinese Theatre, Hollywood, CA – Christie joined forces with TCL to captivate visitors and movie goers with an impressive, high-impact, permanent projection mapping show on the theatre’s facade using Christie projection technology and Pandoras Box show control system. Museum of Science and Industry, Chicago, IL – Installed by D3D Cinema and Christie, MSI’s five-story domed theater features 150,000 lumens in 6K resolution with high frame rate capability, powered by three stateof-the-art Christie RGB laser projectors. Billy Lynn’s Long Halftime Walk – Celebrated film director Ang Lee is known for both his dramatic storytelling and adoption of new technologies. For Billy Lynn’s Long Halftime Walk (directed by Lee and released in 2016), about a soldier who fought in the Iraq war, Lee decided to push the technological boundaries in order to give the film an “immersive” and “realistic” experience of the reality and emotional journey of soldiers. The movie was shown at select venues in stereoscopic 3D and 4K resolution at 120 frames per second per eye using Christie’s Mirage 4KLH 6P dual-head RGB laser system – the only projection technology capable of displaying the director’s vision as intended. It is the first-ever feature film to be shot in such a high frame rate and the lucky few who were able to see this version of the movie were treated to a memorable, visceral experience. Coachella Valley Music and Arts Festival, Indio, CA – Christie partner Obscura Digital lit up The Antarctic Dome at Coachella using 15 Christie Boxer 2K30 projectors. 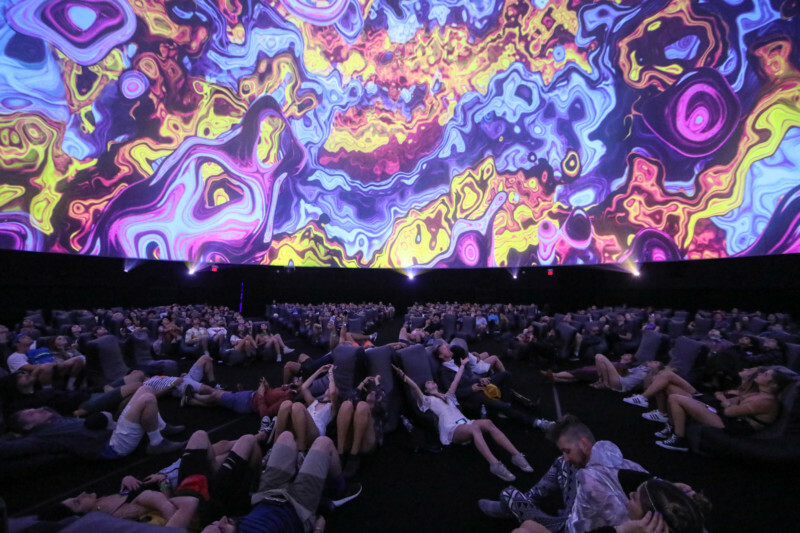 The 120-foot dome offered a 360-degree projection surface, wowed audiences throughout the festival weekend and won Obscura Digital the award for “Best Use of Technology at a Festival” at the first annual Everfest-XLIVE FestX Awards, presented in December 2017.